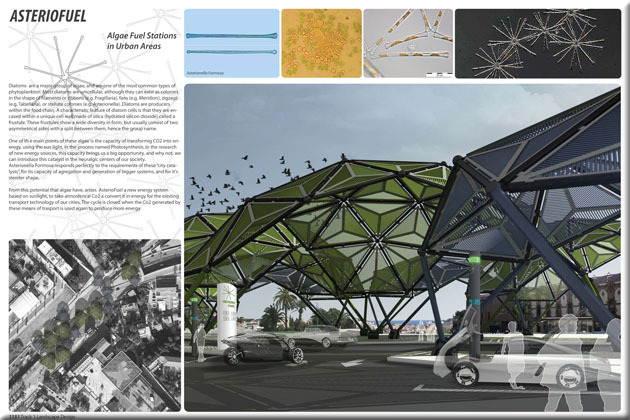 Asteriofuel Algae Fuel Stations in Urban Areas like Barcelona Spain. The AsterioFuel network of geodesic domes is designed for cities interested in absorbing CO2 emissions and producing renewable fuels. 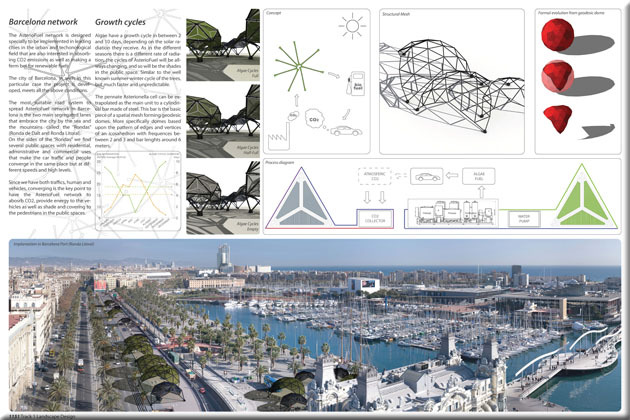 The domes absorb CO2, grow diatom algae to provide energy to the vehicles and offer shade covering for pedestrians in public spaces. For more information about this entry, contact the author. email: montojo.ignacio@gmail.com.